Avram Goldman, in the KSVY studio, during the tequila blind tasting. One of the perks of living in a small town is being a regular guest on the local radio station. There’s something about radio that fascinates me, so I’ll never turn down the opportunity to make an appearance, especially if I can talk about tequila. 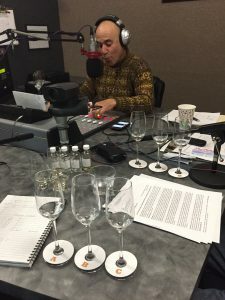 I was invited by my neighbor, Ken Brown (former mayor of Sonoma), to talk about tequila specifically, so I decided to conduct a blind taste test on the air. My theme was “production techniques”, and I brought 3 samples that use different cooking methods: Stone/brick oven; Autoclave; and Diffuser. I was eager to get their impression of each, and was surprised with their ability to detect the differences in each of the samples. In short, Casa Dragones Blanco, which is made with a diffuser, was the least favorite, which is interesting because it was the most expensive of the three ($60.) People in the studio felt it was “medicinal”, fairly simple, and the least enjoyable of the samples. 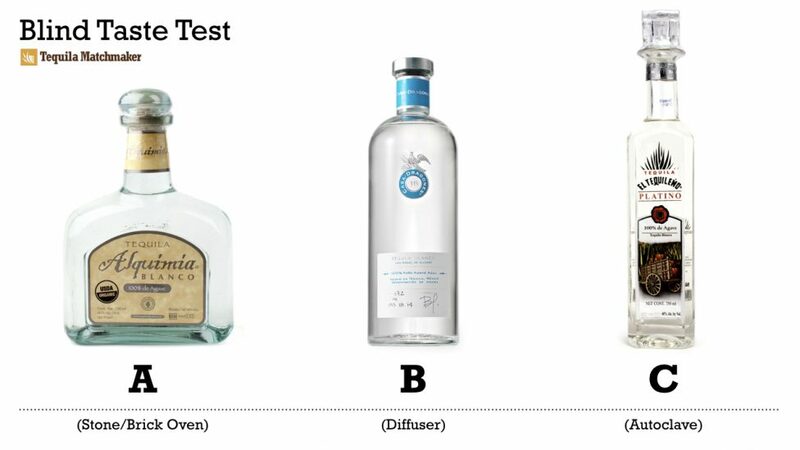 After the show went off the air, Avram Goldman, changed his mind and said that, upon further review, Tequila A (Alquimia Blanco) was his final choice. The Hey Neighbor show, with hosts Avram Goldman and Ken Brown, airs each Wednesday, from 2pm – 4pm, on KSVY 91.3 FM, in Sonoma, California.